Triumph car tuning tips and advice. We have a wide range of tuning articles covering all models of Triumph from small engined family cars to large engine hot hatches and executive cars. Following our tuning tips you will avoid many of the common mistakes and actually achieve the car setup you desire. Please join the forum for model specific questions and answers and to meet other owners and see what modifications they have done. 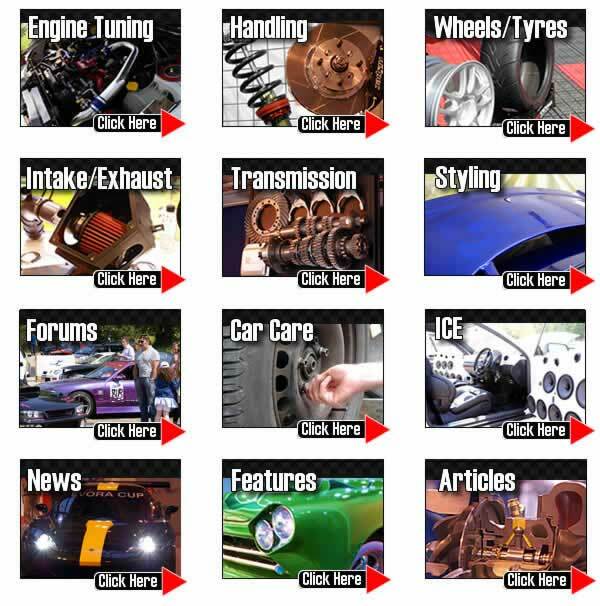 TorqueCars started providing Triumph performance part reviews, car tweak suggestions and and car modification tips and pointers back in 2003 and have grown from strength to strength with a fast growing membership of all types of cars including many, Triumph owners. We are currently one of the fastest growing car tuning clubs around and certainly one of the friendliest. In 2007 we also organised our first full car show. Our Triumph tuning and styling articles are continually updated so for the latest Triumph performance part,tweak suggestions and and modification advice, tips and pointers please check back regularly. We strongly recommend that you join our Triumph forums and swap performance part ideas with like minded Triumph owners in the performance part forums. We would like to hear about your interesting Triumph projects, so drop into the forum, post up a new thread and pass on your tips, we love to see members car pictures and have an ever growing gallery. Scroll down the page to see our latest tuning articles for your Triumph. From a diesel perspective, anything that isn’t turbocharged is a waste of time from a tuning point of view. Similarly, anything that isn’t using electronically managed direct injection is a pointless tuning proposal so we are somewhat limited to modern Turbo Diesels. This phenomenon known as brake fade can be quite unexpected and lethal and I would hazard a guess that 1 in 4 cars are likely to experience brake fade to some degree. Brake fade manifests itself by a spongy feel on the pedal and little or no braking force. Do not confuse brake fade with bad brakes or a mechanical fault as it applies to brake systems in relatively good condition. Performance gains from low profile tires. We look at the pros and cons of fitting these and list the advantages and disadvantages of low profile tires.